While boosting the aesthetic value of our garden we think about various decorative and functional additions, the trellises, pergolas and arbors are the most valuable additions always while changing your garden into a mini heaven! 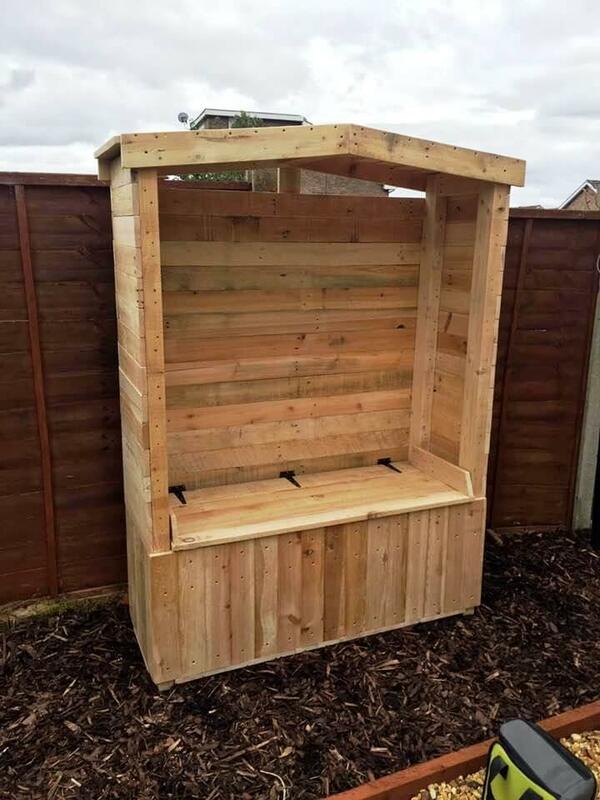 If you are willing to gain a low-cost trellis or a wooden framework for training of climbing garden plants then this DIY wood pallet bench arbor would be something highly recommended for you, gives a seat, an installed framework for trained garden planks and also a beautiful shelter! This fancy wooden arbor has been done with pallets, mostly the slats of pallets have been integrated for all solid and super stable dimensions of it! 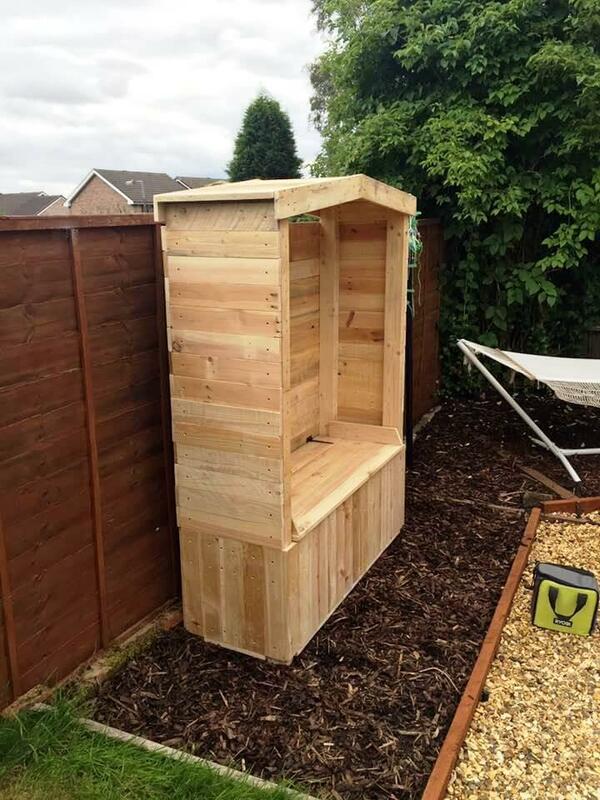 Moreover, it also pleases the user with a bonus, the specially installed secret stash to store the garden stuff, comes under the berth and berth position is hinged so can be opened up easily! Grit well the separated pallet lengths before getting them into construction it will cause the wooden surfaces brighter and splinter free as well! A fantastic and cool arbor built with pallets, has beautifully installed wooden framework over the top for training of climbing garden plants! 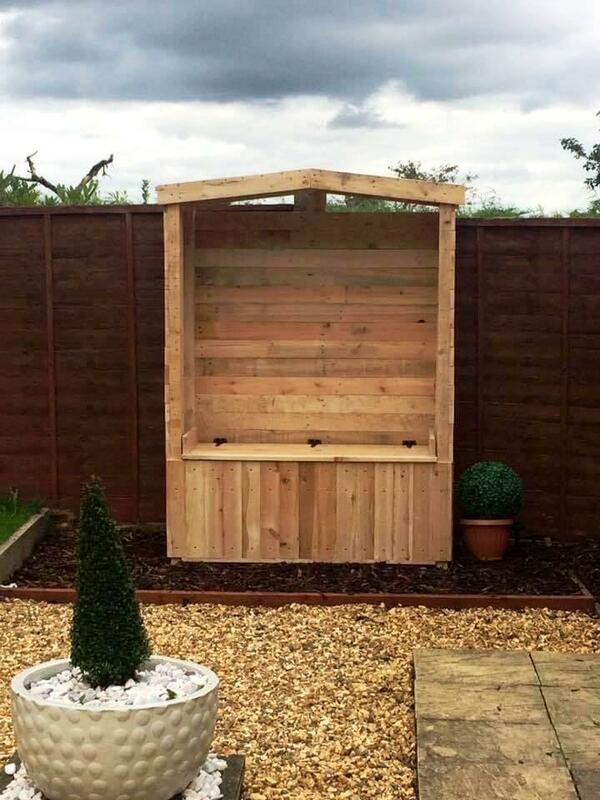 The roof is chevron and if not as a trellis, it will be great to use as a shelter there, enjoy the comfortable sitting in your garden by sitting in this arbor! It provides the storage in the installed seat which comes on black antique hinges! Overall look of the arbor is pretty natural wooden however, it can be painted or stained too for a changed appearance!